Mark your calendar and save the date for August 6th. 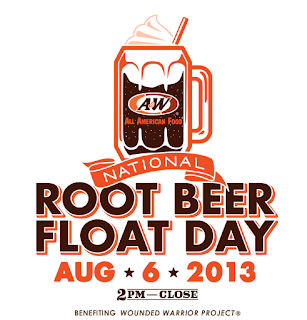 You'll score a FREE Root Beer Float at A&W. Please note that this FREEBIE is ONLY valid on August 6th and is limited to one per person, while supplies last.